Being jaded is not a requirement once you move here. Neither is being unaffected or cynical or callous. I don’t care what some natives say — most of the natives aren’t like this either! It’s just not very much fun, eh? Never, ever stop looking up! Anyway, it was only a moment of my entire day, but that old lady’s wonder reminded me of my favorite things to do in the city: to watch it go by. There’s so much to smile at, so many places to notice for the first time, or for 100th time in a different way. • Getting asked for directions. I still remember my first time. I felt like such a badass! I just hope that girl has forgiven me for making her late to her job interview. Turns out Metro North does not depart from Penn Station. I didn’t know that. • Sporting an I Heart NY logo, anywhere on your person you’d like. • Writing your return address on envelopes. “New York, NY” is the best part, of course. • Being really nice, even appreciative, to tourists. They’re here for the same reason you are — because this city. is. awesome. Never before have I lived in a city where, with all the issues and whatnot going on in my friends’ lives at any given time, we’ll often sit around and talk about how much we simply love living here. I hope that never leaves us. Go forth, new and old New Yorkers alike, and speak of thy love for thy city. ← Frugal Find #4: I smell success! You know I agree with you wholeheartedly here…I hope I never stop appreciating that NYC has the best skyline in the world. But let’s allow a gentle reminder that, while you should never stop looking up, you should also never stop in the middle of the sidewalk in order to look up. What you mention is actually one of the focal points of my blog at FrugalNYC. I’ve lived here most of my life, and like many New Yorkers, am usually short on time to check out NYC. 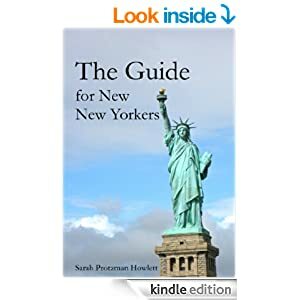 I hope to change that for all New Yorkers, and hopefully make those who have not discovered NYC’s hidden gems, discover them. I’ve fallen in love with my city, and love traveling like a tourist as often as I can.